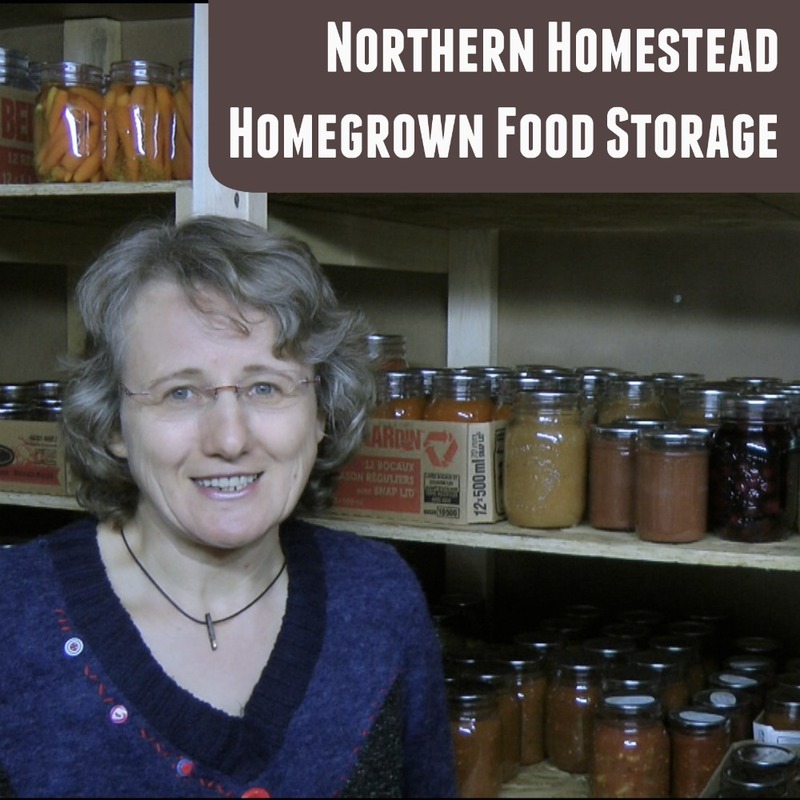 Preserving the harvest is an important task here at Northern Homestead. 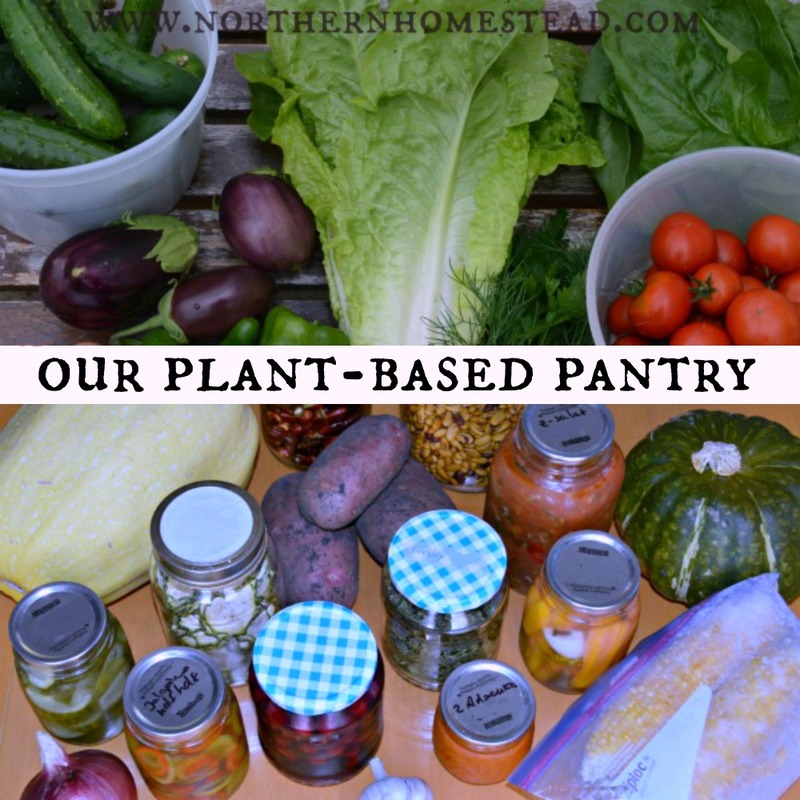 With only about 100 frost free days, we want to preserve and store our summer bounties as much as we can to have homegrown food all throughout the long winter. 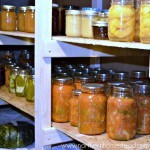 This year I really got into canning. 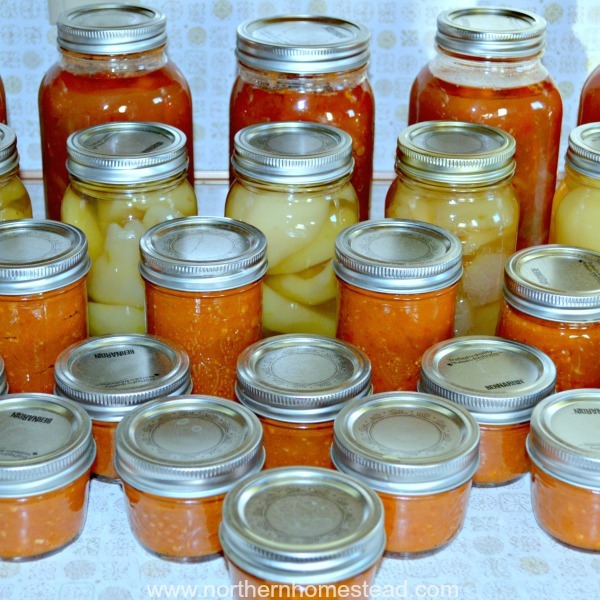 So far I only do water bath canning. 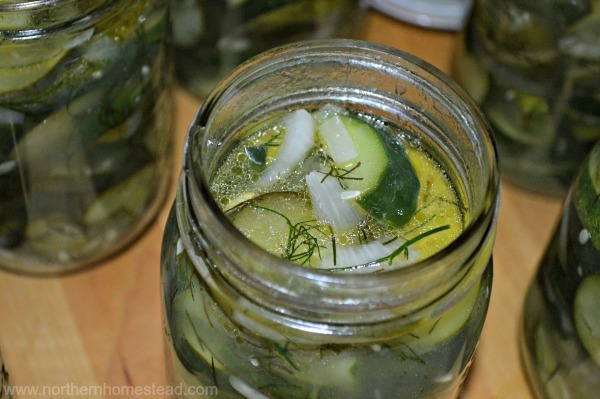 High pressure canning is on my list of things to learn (maybe next year). 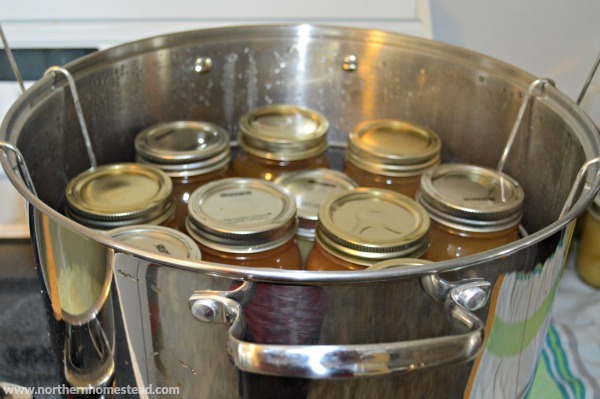 Water bath canning is easy to do with a good canner. 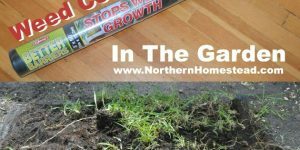 Granite ware canners work great for gas stoves. For a glass-ceramic cooktop you will need a stainless steel canner because of the smooth bottom. 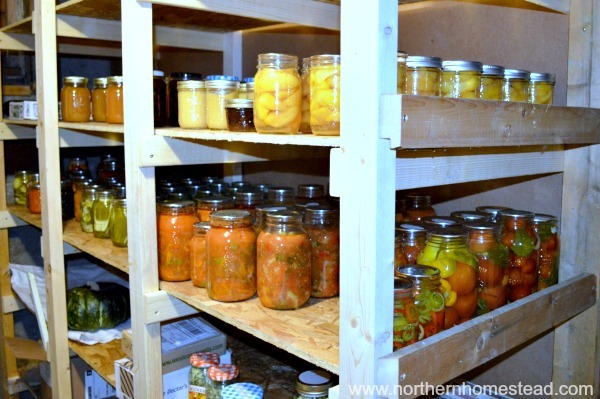 Only acidic foods, like pickles, tomatoes, and fruit, can be safely preserved in a water canner. 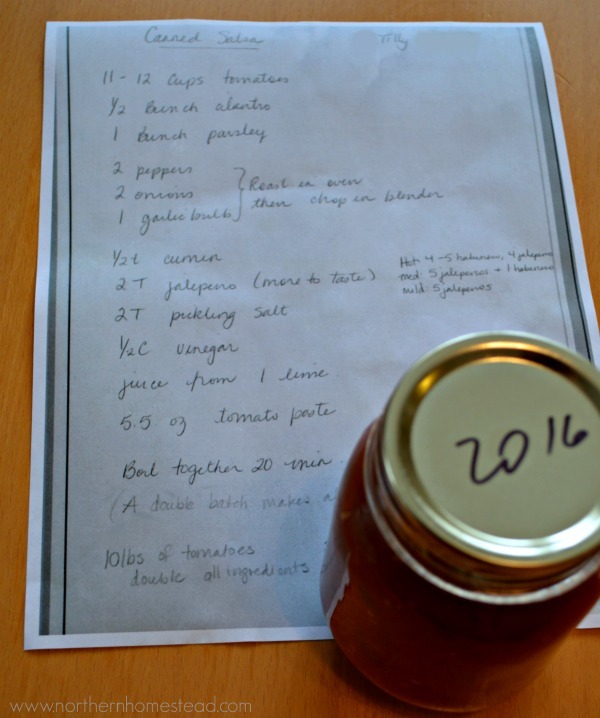 This post lists the recipes I used this year, so its kind of a journal of what I did so we don’t forget. You might find one or two of those recipes interesting, too! Note, many of these recipe links are in Russian. If they are worth sharing, I plan to translate them over time. For now, they are just for myself to remember. By the way, I’m very grateful for my Russian language skills. 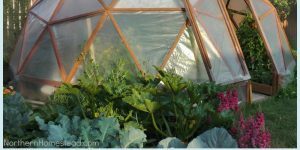 If there is a place on earth where people have grown their own food and lived from the land over decades even in cold climate, that is Russia. There is a wealth of knowledge and experiences. 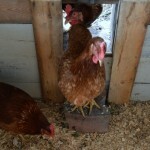 However, most of the recipes do not meet our safety regulations. These are traditional recipes that people have been making for centuries and lived to tell the story. Use at your own risk. 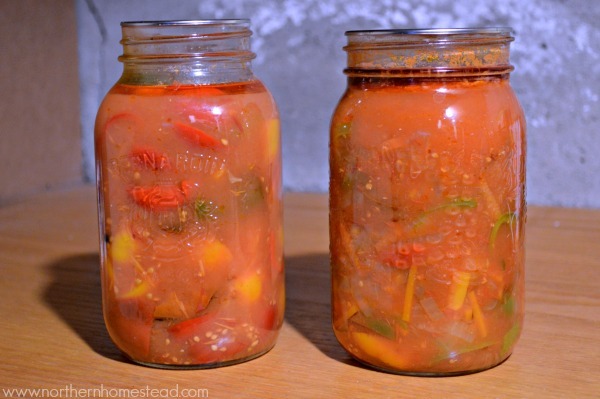 Personally, I add more acidity and process them in a canner. 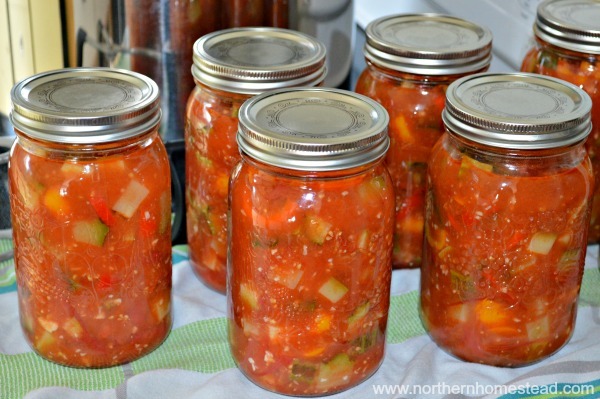 This year I made salsa using a recipe from my friend Tilly. 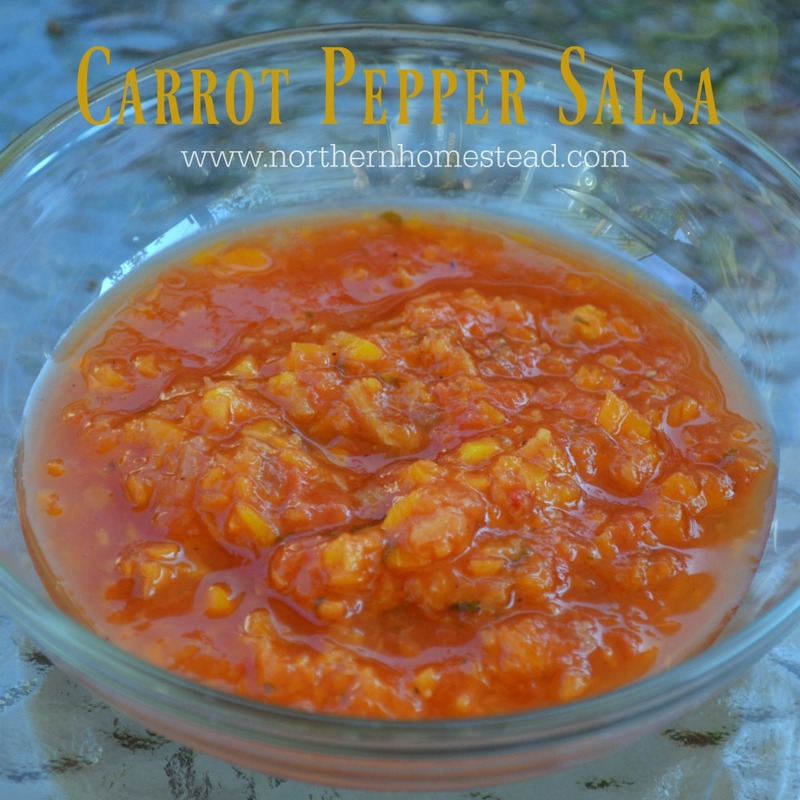 I think we liked it more than my salsa recipe, especially because it uses more homegrown products, not store bought ones. I will share it if we add it to our favourites! I processed it in a water bath canner though, not in the oven as the recipe suggests. 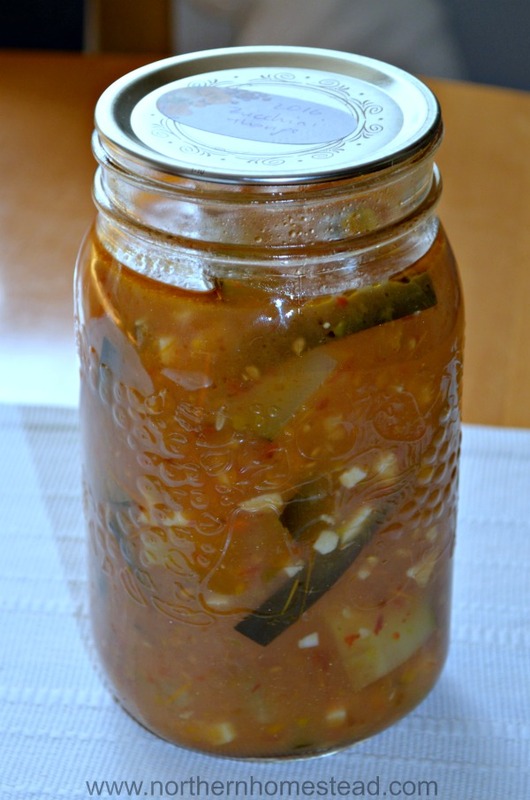 This recipe for a spicy relish caught my curiosity. I may or may not have had any Adjika before. But I was sure it is worth a try. However, I reduced the amount of garlic drastically. Very yummy! 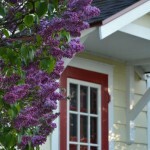 I liked this recipe immediately and shared the recipe with you. However, the next recipe is simpler to make, and maybe, just maybe, even better. But diversity wins the game, right. 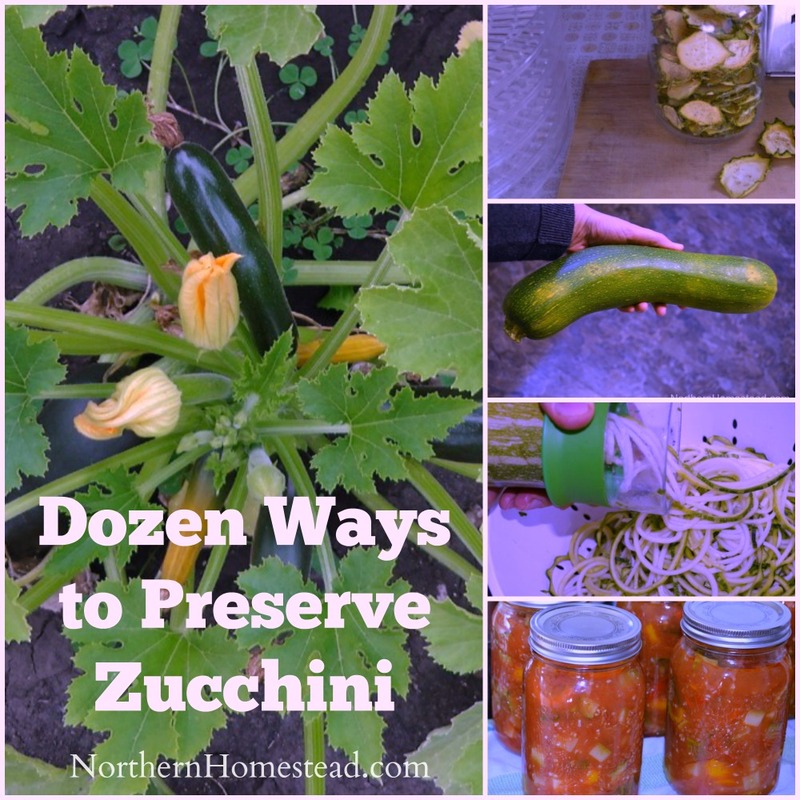 A very yummy side or salad dish: Canned Zucchini salad. In one batch I added parsley and that really made it even better. Plus, I think this recipe really brings out the romanesco zucchini variety. I did not cook it too long to keep the zucchini crunchy. 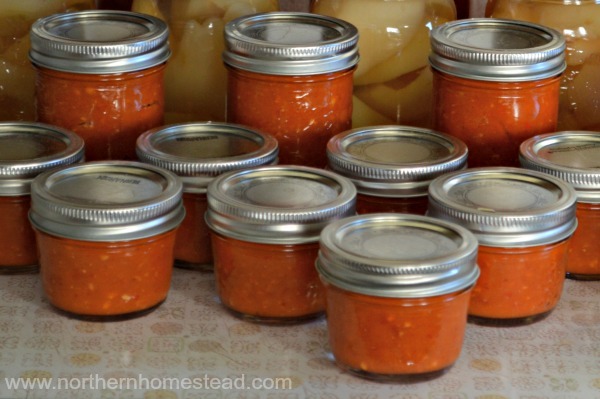 There are as many recipes for this traditional preserve as there are names. I made two different recipes this year. The simple peppers and tomatoes lecho and a lecho with onions and carrots added, very yummy! I made two batches of it. 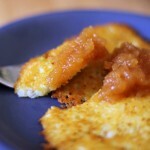 Again, I used two different recipes for this yummy main course or appetizer. I made the proven recipe based on carrots and zucchini from my home note book. I don’t even know anymore where I got it from, but it is very yummy. I also tried the eggplant spread Ikra this year. I only made one quarter of the recipe for the amount of eggplants we were able to grow in our northern garden. It’s very yummy though, so I will have to find a better way to grow more eggplants next year. Along with usual pickles I also made a cucumber salad. This recipe was very unusual and I am looking forward to trying it. I pickled various vegetables: salad mix, zucchini, carrots, Dilly Beans, jalapeno peppers (I mixed them about half and half with mini sweet peppers), pickled beets, pickles, and tomatoes. 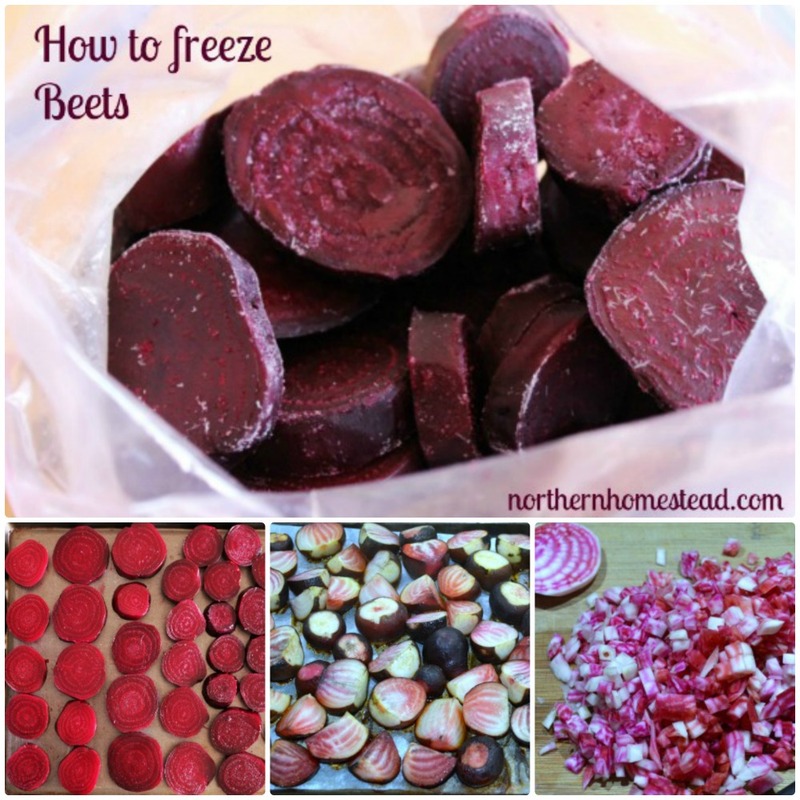 The pickled beets are with ground cloves and cinnamon; I did not use allspice and used apple cider vinegar. Curious to see how we will like this recipe. 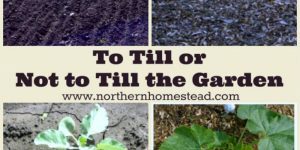 The dilly beans are made with sprigs of fresh dill and garlic. 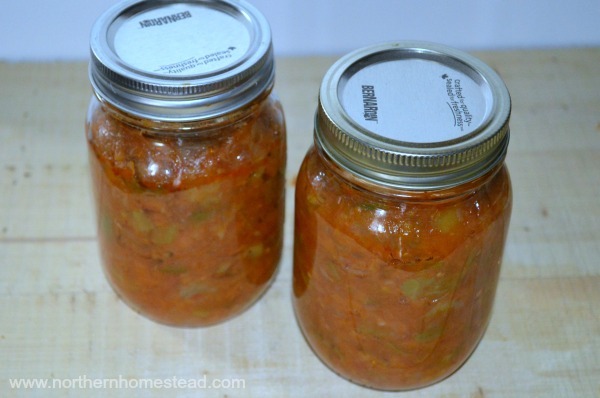 I have never canned beans, since I do not do pressure canning. These, however, sounded easy and yummy. They do make me a little nervous though. Beans are just so tricky. I had a bit more bran, so I made one jar of zucchini the same way, just added some pepper kernels. They might be even better than the beans. 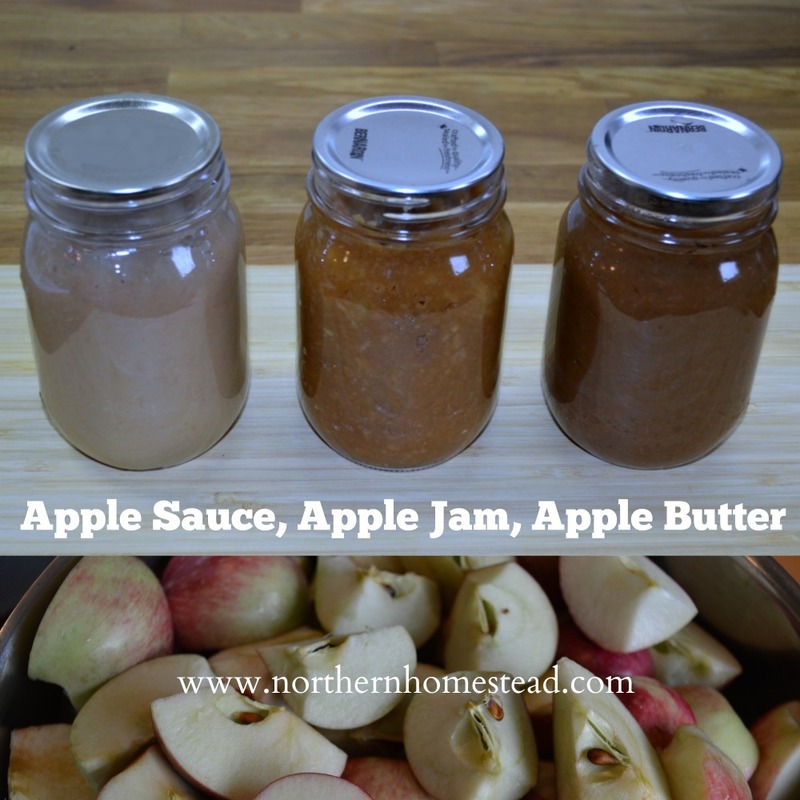 Apple sauce and apple jam are a must have in our house. 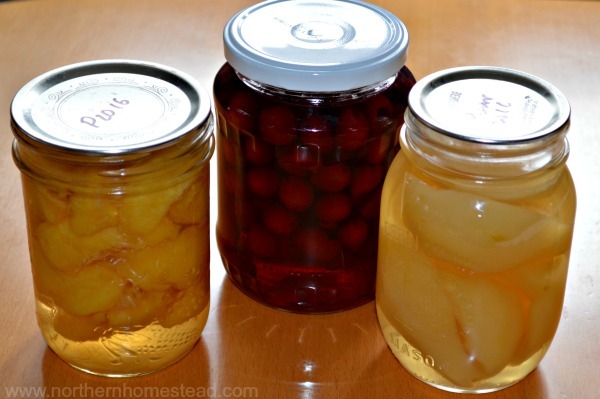 I also canned peaches, our homegrown cherries, and pears, using a simple sugar syrup. 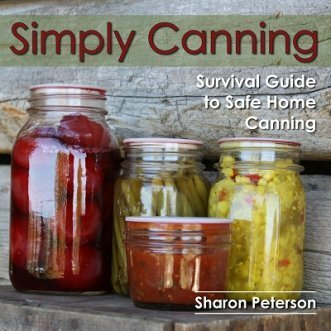 If you want to learn the important information for safely home canning, the “Simply Canning” book by Sharon Peterson will lead you step by step through the most important safety information for both Pressure Canning and Water bath Canning. I just dropped my jaw looking at all those beautifully canned jars on your shell. Awesome! I’m really tempted to try all of your mouth-watering recipes. 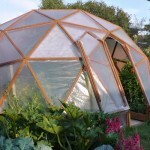 Thank you Dewi, this was a very good gardening year. Yes please, try as many as you want and enjoy! 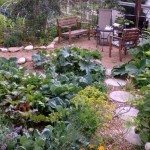 We did dilly beans last year and have enjoyed them very much. 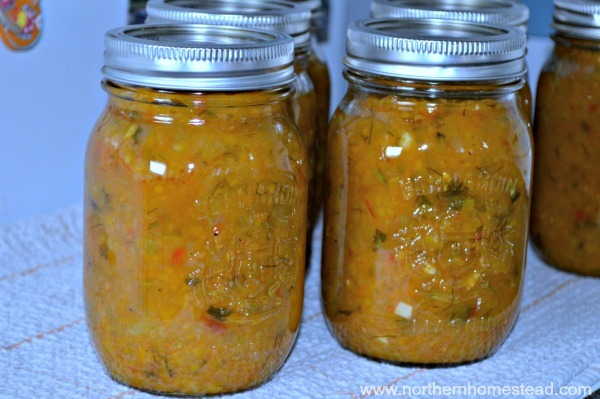 One of my favorites is piccalilli relish recipe, and last year I canned up lots of soups and chilis (pressure canned) which were a great way to use up the last of the garden when there isn’t quite enough of any one thing left. And finally I discovered canning dried beans without cooking first. What a time saver! There are lots of recipes online for chili beans or baked beans. So convenient. Thank you for sharing. Pressure canning is something I have not mastered yet. 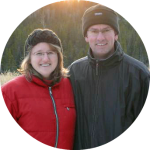 Whit our high elevation it needs special care so that I have stayed away from it so far. I’m sure it is a time saver and yummy.